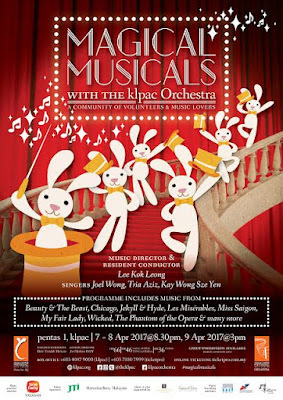 Magical Musical is here for 3 days only from 7 - 9 April 2017 at klpac Orchestra under the baton of Lee Kok Leong. 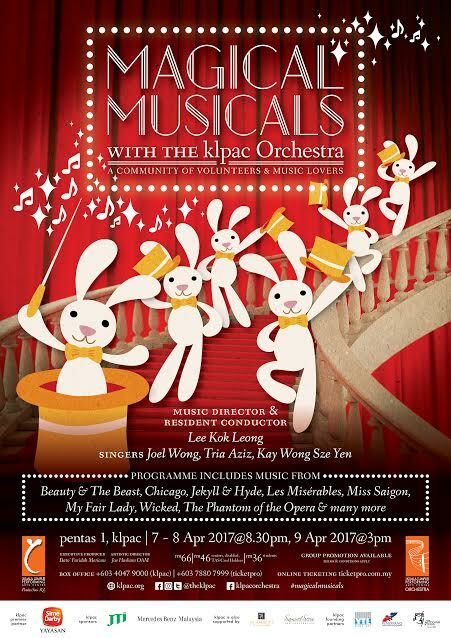 The trio comprising multi-award winning singer and entertainer Tria Aziz, the charming tenor-baritone Joel Wong and trumpet virtuoso Kay Wong Sze Yen will be belting out iconic tunes from Les Miserables, Phantom of the Opera, Chicago, Miss Saigon and even Evita! 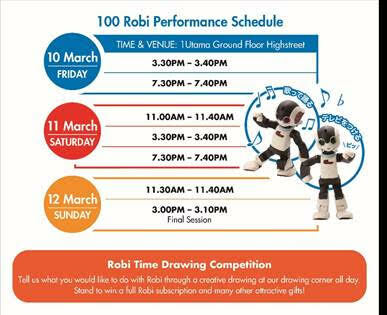 There will also be some family-friendly numbers from Beauty and the Beast, highlights from the musical phenomenon Wicked along with a few other surprises. To purchase tickets, call 03 4047 9000 or head over to www.ticketpro.com.my.